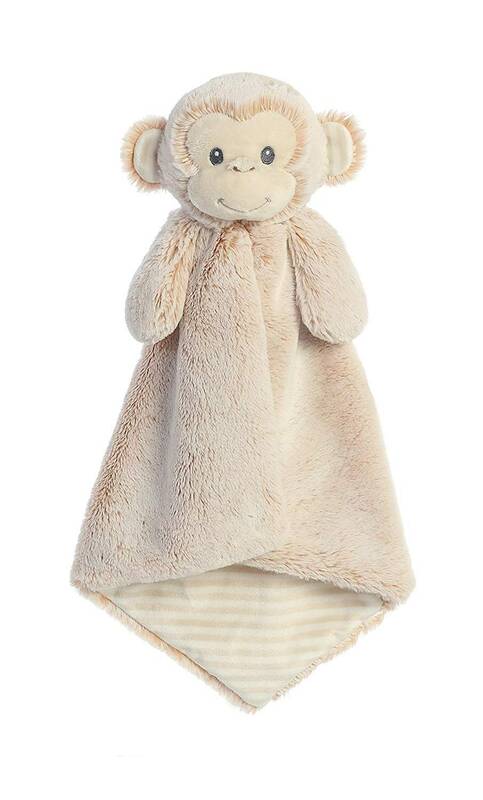 This exquisite monkey baby security blanket measures 16 tall". A perfectly sized tag along friend to share everyday adventures with. Soft snuggles too! Includes embroidery personalization. Makes a great baby shower gift! 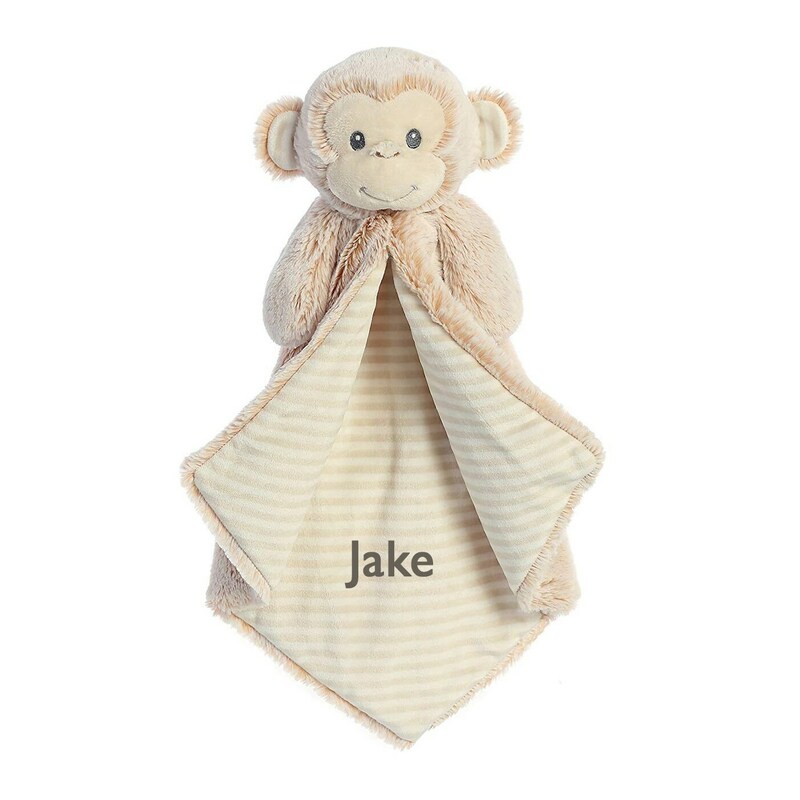 To make this baby lovie blanket extra special, personalization is included. Please provide Baby's FIRST NAME in the space provided or in the "Notes To Seller" during checkout. Font and font color as shown.